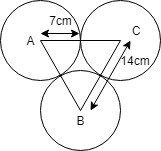 Question 1: A square of perimeter 88cm and a circle of perimeter 88cm given. Which figure has larger area and by how much? Question 2: The areas of a square and a rectangle are equal. The length of the rectangle is greater than the length of any side of the square by 4cm and the breadth is less by 3cm. Find the perimeter of the rectangle. Solution: Let the side of the square is a. Let radius of the semicircle is r.
Question 4: A kite is in the shape of a square with a diagonal 48cm attcahed to a triangle of the base 4cm and height 6cm. How much paper has been used to make it? and, angle of equilateral triangle is 60o. Three arcs combined to form area 1/2(circle). Question 7: From a point in the interior of an equilateral triangle, the perpendicular distance of the sides are 2√3, 3√3 and 4√3. 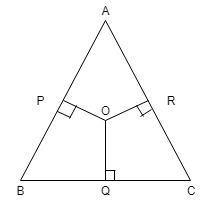 Find the perimeter of the triangle. Let O is the intersection point of all the perpendiculars and Let x is the side of equilateral triangle. Question 8: Find the diameter of a wheel that makes 226 revolutions to go 4520 meter. 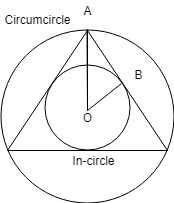 Hence, In-radius of equilateral triangle is 5 cm. Question 11: The perimeter of a rhombus is 80 cm, If one of its diagonals is 24 cm long, what is the area of rhombus? NOTE: Diagonals of rhombus bisect each other at 90o angle. Solution :Let the parallel sides be 3x and 2x. Solution : Using heron’s formula we find the area of one half of parallelogram.